The first thing to know about the British Virgin Islands is that their names do not begin with a Saint like those belonging to the United States. 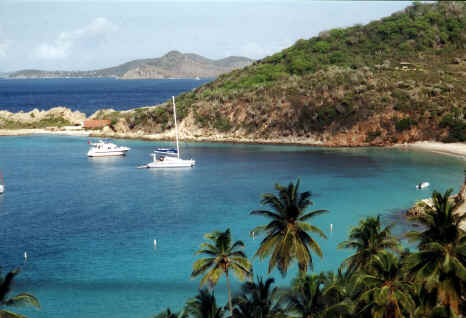 Tortola and Virgin Gorda are the two largest, but there are over fifty archipelagos and many small cays and rocks—most of which are uninhabited. With their many coves and wind currents they are a sailor’s paradise. 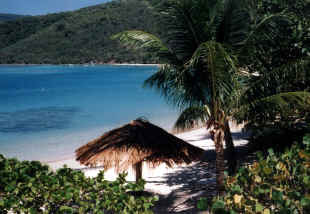 The British Virgin Islands are mostly volcanic islands; therefore, they rise out of the sea and have steep hillsides. 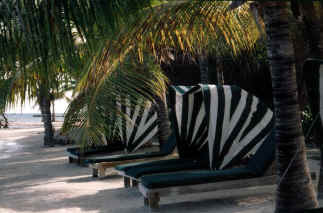 Their beaches are small coves protected by intensely green, arid plants. Also, much to my surprise, there are lots of cacti. 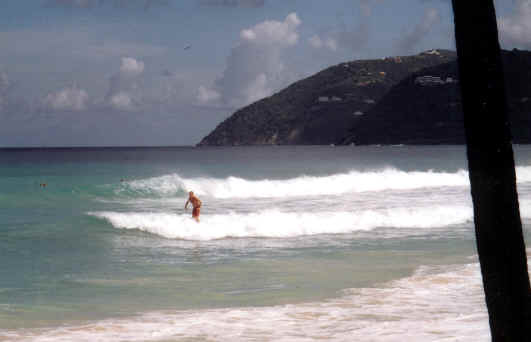 Economically, the British Virgin Islands are very healthy; poverty barely exists. Road Town , the capitol, has wonderful jewelry shops, restaurants, and the usual banks. It is becoming a regular stop for the cruise ships. 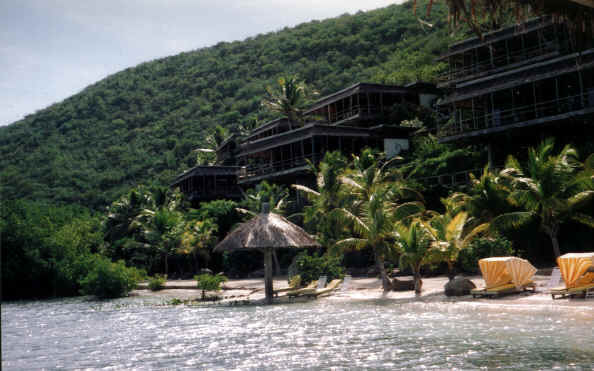 There are many and varied hotels and villas on the Islands, including some of the best in the Caribbean—the Biras Creek Resort, for example, and Little Dix Bay and the Peter island Resort. 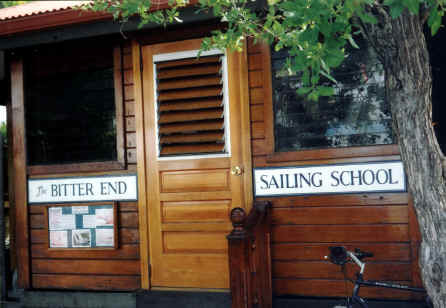 My own favorite is the Bitter End Yacht Club, which has a sailing school for sailors of all levels of experience, offered with all sizes of boats. 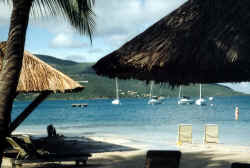 You can sail a sunfish about on your own or go on a catamaran for the day to the more distant islands. Scuba, tennis, and a spa are also available. And for those who just wish to relax, the setting is spectacular: the Caribbean Sea and Atlantic Ocean meet in view of your quiet chair! 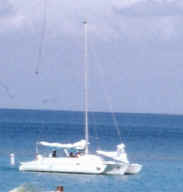 The Bitter End Yacht Club offers two room categories: small villas with air conditioning or hillside units with ceiling fans, lots of screen walls and decks. Because the ocean and sea meet there, you not only have good wind for sailing but for cooling these units. 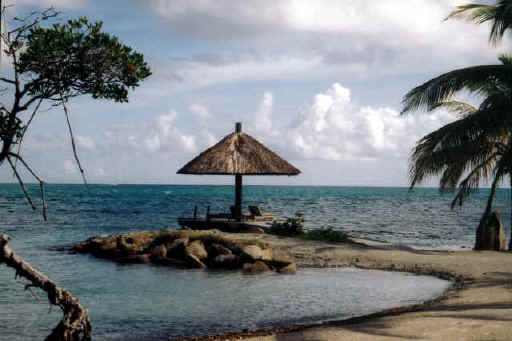 Then, if you really want to feel the Caribbean (actually the Atlantic Ocean ) as it ought to be experienced, take a small—very small—plane to the airport on Anegada. There are small casual hotels if you wish to sleep over and the best lobster lunch I’ve ever eaten on a completely empty beach! And then back to The Bitter End later in the afternoon or the next day!